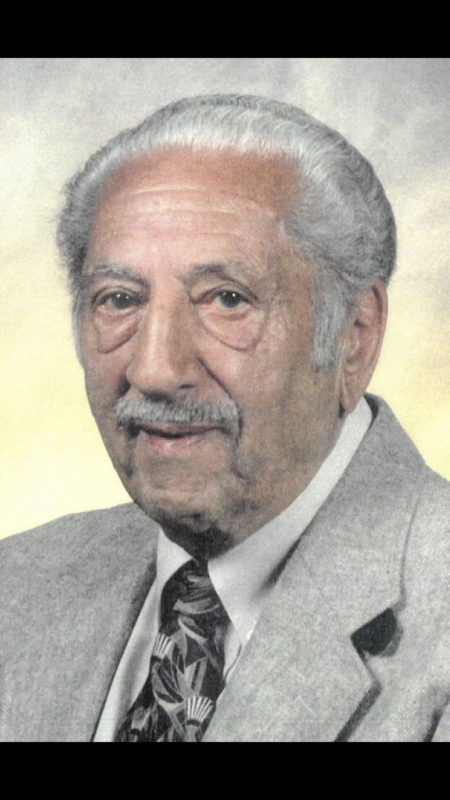 Joe W. Vitanza, 102, passed away July 12, at Hospice of the Western Reserve surrounded by family. Joe was born in Cleveland on November 26, 1915 to Antonino and Antonina Vitanza. He married Gertrude (Cefaratti) on June 1, 1940 and they were happily married for 72 years until Gertrude’s passing in 2013. He is survived by children Anthony (Angie) and Roberta (Bob) Bures, son in law, Pat Bevack, grandchildren Tony (Kim), Christine (Scott), Pat (Karen), Joe (Rita), Gina (Joe), Deanna (Nick) and Bobby (Kacey), sister, Theresa LaManna and great-grandchildren Olivia, Alexis, Gianna, Joey, Giavanna, Giuliana and Giada. He was a Godfather, uncle, and friend to many. Joe is preceded in death by his wife Gertrude, daughter, Diane Bevack, and siblings Josephine, Sam, Frank, James and Tony. The family wishes to thank Dr. John Bertsch for the years of compassionate care given to both Joe and Gertrude. Mass of Christian Burial Monday July 16, 2018 at 10 a.m. at SS. Robert and William Church, 367 E. 260th St., Euclid. Entombment All Souls Cemetery. The family will receive friends at VICCHIARELLI FUNERAL HOME 5252 MAYFIELD RD., LYNDHURST (BETWEEN RICHMOND and BRAINARD) SUNDAY 2-6 P.M.